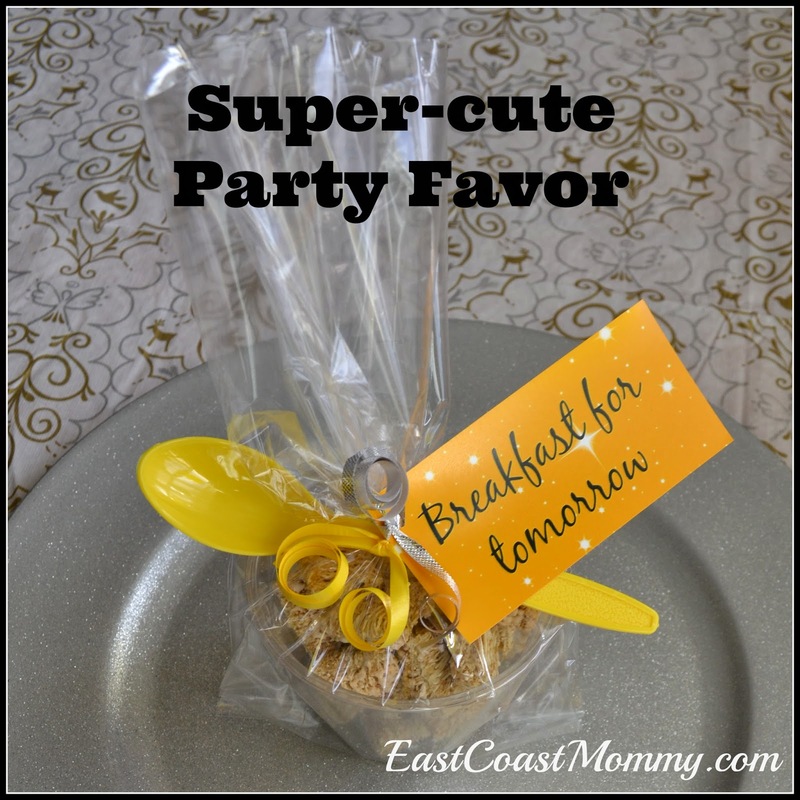 Here's one last post for 2013... a really quick party favor... breakfast for tomorrow. I filled a plastic cup with cereal, added a colorful plastic spoon, and tied it up in a clear loot bag with some ribbon and a cute tag. (You can download the tags here.) Isn't it sweet? It is a great favor for a New Year's Eve party, but I think it would be adorable for a sleepover too!